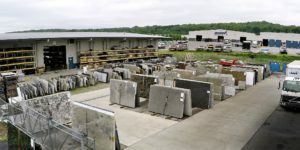 Stone Kitchens always has several hundred slabs on-location and we regularly bring in new inventory and can easily order anything you wish. We also partner with Consentino, Mont Granite, Pittsburgh Granite, and Dente Trading in the Pittsburgh area. Yes, we play well with others. Contact us for more information. Protect, clean, seal, and enhance your stone. Care for your surfaces with the best sealers available. We offer a complete line of stone protection products.